There’s a time and place for everything but when it comes to finding exactly what you want or need you should be able to shop at any given moment. Todays technology allows us to do so with ease and simplicity. However, the ease and simplicity is made possible with RWD. 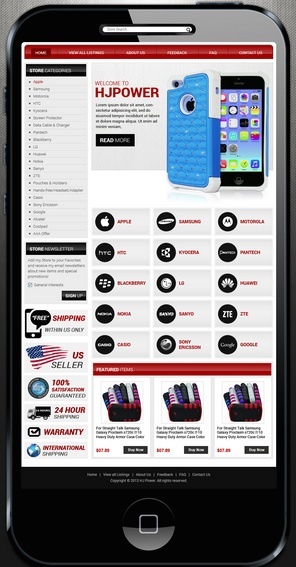 Responsive Web Design is what enables eBay stores to be viewed on all internet based mediums. 45% of American adults are using smartphones and close to 31% own a tablet. It’s RWD that allows a website to be viewed on large desktops, tablets, and smartphones. When a potential customer has multiples avenues to reach your store and view your shop in a simple, streamlined format, it only generates more sales for the shop! A variety of things can go wrong if Responsive Web Design isn’t integrated into your eBay shop design. When potential customers access the eBay shop from their mobile device such as their iPhone many different inconveniences can grace the screen. Pictures can be out of place, text can be distorted and jumbled and the shopper may have to scroll all over the site in order to find the tab or button for which they are searching. Smartphones are the smallest device used to shop and access stores on the go, and can often be more challenging to see. RWD is the solution. Responsive Web Design takes into account the device being used to search and shop and makes the site compatible for that device. The picture above is an example of an eBay shop design with a clear and organized appearance. OC Designs Online integrate RWD into their design so both online retailers and customers are completely satisfied. Rather than having to scroll to the left or right the shop has been placed in one column so scrolling and viewing all images is done without difficulty. Although tablets are a good deal larger than smartphones the same adjustments need to be made for the devices themselves. Websites were once only designed for desktop computers since they were the only thing on the market, however today screens vary in size. The above eBay store design can be viewed on a tablet easily with high resolution. Tabs are easy to navigate, pictures stay in order and text is clear and legible. Partner with OC Designs Online for an eBay shop design that’s RWD compatible with desktops, laptops, tablets and smartphones. The more reach you have with a clear and easy-to-navigate website the more sales you generate! 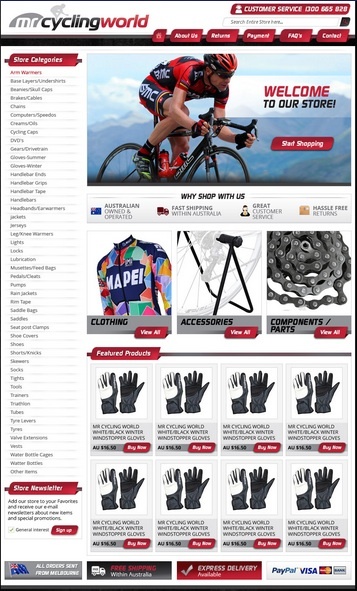 Take some time to browse our portfolio of RWD store designs, and then request a free quote.